In January, the Federal Government said it was undertaking various road projects worth N2.8t across the country. According to the Director of Highways, Planning and Development, in the Federal Ministry of Power, Works and Housing, Mr. Chukwunwike Uzo, who made the disclosure, these projects to be funded partly by proceeds of the Sukuk bond, through which N100b was raised to fund 25 select road projects across the six geopolitical zones. Uzo, who spoke to newsmen equally revealed that the government is financing ongoing road projects outside the Sukuk to the tune of N1.8t, while the 25 Sukuk-funded roads projects are to gulp N1t. Last month, the Federal Government, in its bid to debunk an allegation of infrastructure neglect by some governors from the South East released a list of 69 ongoing road and bridge projects in the area. But findings by The Guardian revealed that some of these projects are still in the state they were before the present Muhammadu Buhari-led administration came on board. For those that are not, the lack-lustre approach with which they are approached, suggests that they are either poorly funded or not funded at all, hence work on them are either lingering or stopped. For instance, four months after the Lagos-Abeokuta Expressway was flagged-off by the Federal Government, through the Federal Ministry of Works, Power and Housing, it has been a case of motion without movement. In fact, the road has gone from bad to worse in the last three weeks, despite the presence of construction giant, Julius Berger Plc., which is handling the project. Expectedly, motorists and other road users are the worst for it. It would be recalled that the road project re-awarded at the cost of N22.387b, was flagged-off on Monday, May 14, 2018, from Ile Zik Bus Stop, Ikeja, Lagos State, up to Brewery Junction, Abeokuta, Ogun State. Divided into two sections, the first section, which starts from Ile Zik spans about 20km, while the second section, which falls into Ogun State is 60km. Among other things, the contract is to ensure complete rehabilitation of the entire stretch, with a contract period of two and a half years. Few days after the flag-off, the contractors mobilised to site and began the application of palliatives around the Sango/Ota, Iyana-Joju, Owode, Iyana-Ologbo, and other sore spots on the road, which had seriously deteriorated due to neglect by previous administrations. With the rainy season still holding sway, the temporary relief enjoyed by motorists was soon washed away by heavy downpour and the situation made worse than before. As the palliatives gave way, Julius Berger’s West Division Manager, Wolfgang Loesser, told newsmen that the firm was carrying out repairs of bad portions of the highway to ease gridlock, pending the major rehabilitation works. But months after completion of the repairs, work appears to have halted. In the last two week, the ever-busy road has become practically impassable for some motorists, as potholes and craters of diverse sizes now dot it. From the Old Tollgate, which serves as boundary between Lagos and Ogun states, the road is still manageable up to Joju Junction, but from Conoil Junction, through Owode, Iyana-Ilogbo, Ilepa, Pakoto, Techno Bus Stop, up to the railway crossing at Arigbajo, motorists are experiencing hell. Journeying from Sango to Ifo, which used to be about a 20 or 25-minute drive now lasts over five hours as a result of unbearable gridlock induced by the bad road. On days that there are heavy downpours, vehicular movements are brought to a halt and commuters forced to disembark and wade through mud and water pools in order to make it to Owode and Ijako, where they can board either vehicles or motorcycles to continue their journey. 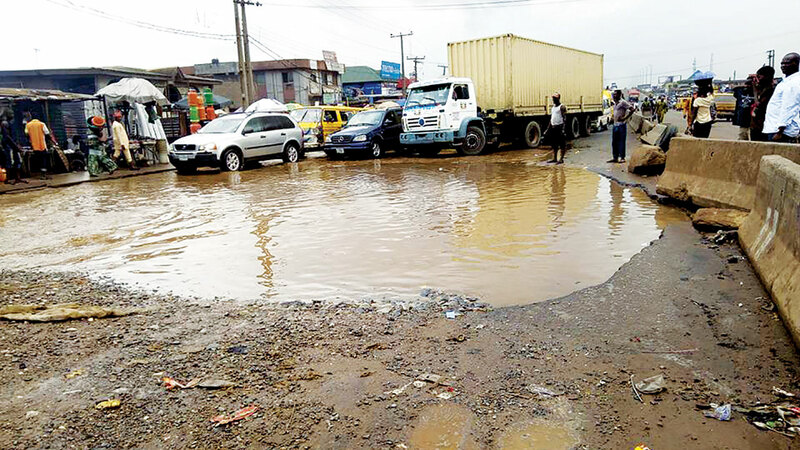 A commercial driver, Olukunle Oni, described the state of the road as “shame of a nation,” adding that despite the much-hyped flag-off ceremony, the road is still in a pitiable condition, causing road users pains and agony. While Oni accused the government of lethargy, a trader, Madam Aliratu Omodeolu, lamented that several lives have been lost due to the poor state of the road. She alleged that government was playing politics with the road project, stressing that it was time it stamped its feet and ensure that the project gets the desired attention. A source within Julius Berger informed The Guardian that the firm was being careful not to commit much resources into the project and thereafter be left in the lurch by the government as the practice has been in the past, and which led to the project being abandoned. Earlier on, the Director, Federal Highways, South West, Olalekan Busari, told newsmen that Julius Berger had been paid 15 per cent of the contract sum, just as the Federal Government has promised that it would not delay their payment. When contacted, the Federal Controller of Works in Ogun State, Olukayode Popoola, handed the phone to the project supervisor in charge of the road, who refused to disclose his name, claiming that he was not allowed to speak to journalists. He, however, explained that the current state of the road is due to downpours, which have caused heavy flooding on the road in the last few weeks. He noted that the major problem on some points remains the lack of drainage system, assuring that the contractors would soon commence the proper rehabilitation of the road. “The Federal Government is paying serious attention to road project and the contractors are on ground putting in place palliatives and will soon commence permanent work. And the moment they start, all problems experienced on that road would be over. 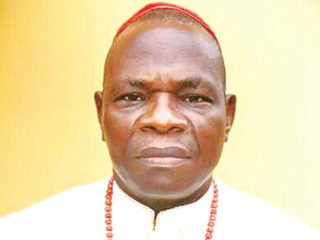 The fact is that they are already on ground,” he added. This project has suffered several setbacks since 2000 when the contract was initially awarded. The rehabilitation of the Ota-Abeokuta section was awarded to Julius Berger in 2009, at the cost of N11.6b. However, due to lack of funding, the project dragged on till 2010 at a reviewed contract sum of N14.6b. Information Minister, Lai Muhammed, while debunking the allegation that the Federal Government has not been fair to the South East in terms of distribution of infrastructure, explained that the government is spending N680b to support the execution of 68 projects, which are either being reconstructed, or rehabilitated. Interestingly, most of the project sites that The Guardian visited in the zone were either still abandoned, or work was going on at snail’s speed. Consequently, inter and intra-state movements in the zone now take double the amount of time they ought to. From Enugu to Aba; Owerri to Onitsha; Onitsha to Enugu, among others, the story remains the same. 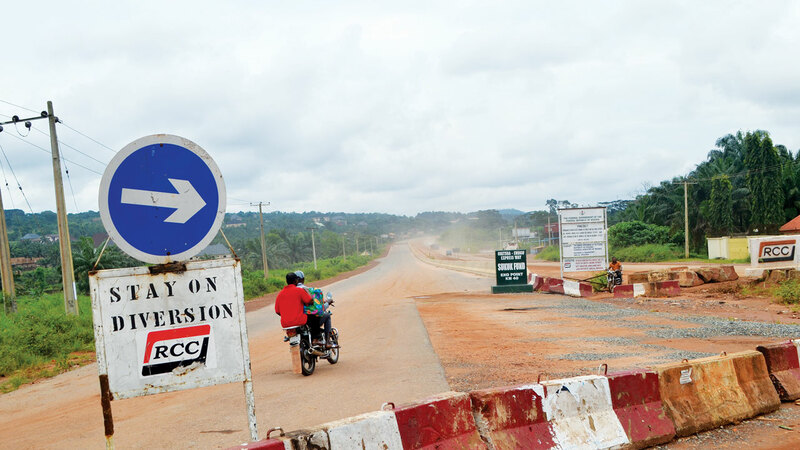 In Enugu, work on the rehabilitation of the 9th Mile–Enugu–Port Harcourt Dual Carriage Way awarded in 2009 to CCC Construction Company is almost at a standstill. There is no work going on from the 9th Mile axis to Awgu, a border town between Abia and Enugu states. Movement from 9th Mile into Enugu urban is extremely difficult and motorists crammed into one lane of the road. The situation is compounded by the dangerous gully that has eaten up almost half of the land in use at Ugwuonyeama, with an embankment provided around the erosion site to warn motorists against danger. Another yawning gap has also been created along the road around the Air Force Base. The ugly thing about this is that it is fast eating up the foot of the bridge that links the road to the Abakpa axis of Enugu. Right now, the fear is that should anything happen to the bridge, the Abakpa suburb would be cut off from the rest of the city. What is not certain is whether the CCC Company still has a valid contract as far as fixing the road is concerned. Efforts to speak to representatives of the firm was not successful, but the rehabilitation of the 9th Mile–Enugu–Port Harcourt Dual Carriage Way project is one of the “ongoing projects in the South East, which has received financial support” going by the recent advertisement by the Federal Government. Information on when the Ozalla-Akpugo-Amagunze-Ihuokpara-Nkoromo Road contract was awarded to Arab Contractors is scarce, but evidence on ground indicated that the contractor spent sometime on the road. From Ozalla, work has progressed to Agbani, and workers were seen on site there (Agbani) constructing the drains. The project is said to terminate at Ebonyi State. At the construction company’s yard at Akpugo, one of the workers told The Guardian that their target is to complete the work in December this year. “We actually had a delay for sometime due to the non-release of funds by the Federal Government. That is why if you look at the Ozalla area where we started, you will see that the job is old. We just started this one (Agbani) last month believing that government will do what it promised, that is, releasing funds as at when due,” he said. He explained that parts of the road, that is, from Akpugo to Orie Mba, and Nnenwe have been nearly completed, as the company had to establish three construction yards along the road to facilitate easy execution of the project. But for residents of Mmaku and Obeagu who are supposed to benefit from the Oji-Achi, Mmaku, Ndeabor Road, the story is different, in fact, sad. Contract for the reconstruction of this stretch of the road was awarded in 2009, to Master Holding Company, but the construction company, which started the project execution from the Oji axis could not continue beyond Achi because residents protested against alleged poor quality of job being done. The Deputy Senate President, Ike Ekweremadu, in whose constituency lays the project was persuaded to look for another contractor and Setraco Construction Company was brought in. But rather than start from where Master Holding stopped, it decided to start from Ndeabor (Ekweremadu’s area) and stopped at Awgu Town. According to residents, the road is about 20 kilometres from Awgu to Achi, but the contractor stopped barely five kilometres after Awgu Town. “This is the problem we have with Ekweremadu who attracted this road. The contractor ought to have taken it to Oji River and not stop it from being linked to Ndeabor. That is one of the disadvantages that you suffer when you don’t have anybody speaking for you. 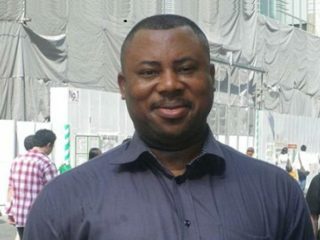 It is almost nine years since the job stopped and nothing has been said about it,” Kelechi Orji said. Setraco is currently working on one lane of the road, around Lokpanta axis of the Enugu-Port Harcourt Highway. The unfortunate thing is that while movement has been restricted to this lane, the pressure brought on the lane as well as erosion, have given rise to innumerable potholes. At one point along the road, where only one vehicle can manoeuver at a time, soldiers have taken over the control of vehicular traffic. The Inyi-Akpugoeze to Anambra border road was awarded on June 13, this year to Anbeez Services. But when The Guardian visited the area, only minor remedial works were ongoing as the contractor is still mobilising to site. Its managing director, Anayo Onwuegbu, said there was no delay as far as starting work on the project is concerned. “Contract was awarded in June and the site handed over to us in July. So, execution of work is on and the engineering order has been issued.” he said. Contracts awarded to Setraco Nigeria Limited (Section One) and Arab Contractors Nigeria Limited (Section Two), for the rehabilitation/reconstruction of the Enugu-Port Harcourt Dual Carriage Way, which stretches from Enugu-Lokpanta-Umuahia Express Tower, in Abia State, has recorded 47 per cent progress. Section Two, which stretches from Umuahia Express Tower to Aba Township Rail/Road Bridge has attained 24 per cent progress. Its speed, the Federal Works Controller in the state, Mr. Nwankwo Chukwudike, has described as slow, even though he admitted that the project is being satisfactorily executed. The Olokoro-Isiala-Oboro-Nnono Junction Road contract (a distance of 7.5 kilometers) was awarded in 2010 to BOK Company Ltd, but work was suspended there three weeks ago due to heavy rains. 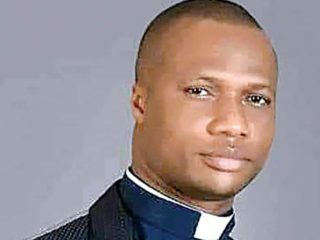 When contacted on telephone, the managing director of the outfit, Prince Ifeanyi Okechukwu, said effective work on site was delayed by heavy rains and the non-settlement of bills by the government, even though the contract has reached 65 per cent completion. Also, at the site of the Construction of Nkporo-Abiriba-Ohafia Road handled by Dutum Construction Nigeria Limited, it was learnt that work was suspended last month due to the rains. But before suspension of works, concentration was only on concrete drainage works. The contract for the construction of the 19-kilometre road was awarded in 2012, and after a long delay, the Nkporo community petitioned the Works Minister alleging that the company only did four kilometres of road in 18 months. Commenting on the execution of road contracts in the state, the Federal Controller of Works, Federal Ministry of Works, Mr. Chukwudike Nwankwo decried the attitude of indigenous contractors, saying they have not demonstrated sufficient appreciation of the Federal Government policy of patronising local contractors, through diligent, timely execution of contracts awarded to them. According to him, non-indigenous contractors perform far more creditably than local ones that government is always willing to support/patronise, regretting that some of them abandon their sites, citing non-payment and weather. 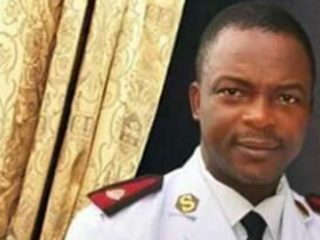 He said he has not even seen some of them on site since he assumed duty in the state on March 10, 2018. “Some of our local contractors are not living up to expectation. If you probe their earned certificates, you will be surprised to see that some ought to make refunds from the mobilisation fees they were paid,” he said. Anambra State is home to 18 of the 69 projects advertised by the Federal Government as being ongoing in the South East. But the bad news is that work is yet to start on many of them scattered across the state contrary to government’s claim. A visit to some of the project sites by The Guardian clearly showed that the contractors were yet to even mobilise to site, or commence any form of activity. The Umuana-Ndiagu-Ebenebe-Amansi Awka Express Road, awarded to Master Holdings Nigeria Ltd, at the cost of N734, 039, 288. 90; Onitsha bound carriageway along the Onitsha-Enugu Road valued at N4, 613, 734, 090. 35, and awarded to CCC Construction Nigeria Ltd, as well as, the Ihiala-Orlu Road in Isseke Town-Amafuo-Uli, to be rehabilitated by Tomline Nigeria Ltd, at the cost of N711, 888, 234. 75, all fall into the category of projects where nothing is happening on site despite the fact that contracts have been awarded and mobilisation paid. construction company setting up camp or yard for its equipment. An indigene of Ihiala, who pleaded anonymity also said that they have not heard of any road contract award, neither have they seen signs on ground to that effect. But last week, construction workers from Niger Cat were sighted at Umuokpa, along Awka-Onitsha Expressway carrying out some repair works at a very bad section of the road. He, however, failed to disclose who is responsible for the repairs, whether Anambra State government, or the Federal Government. In Ebonyi State, the rehabilitation of Abakaliki-Afikpo Road Section I: Abakalilki-Onueke-Abomega Road, which was awarded in 2009 to Bulletin Construction Company at the cost of N2.9b is still suffering immense neglect. This development forced the Federal Government to terminate the contract and re-award parts of the road to Uniglobe Company with a mandate to complete and handover the road by December 2018. The road, which was in bad condition is now motorable and nearing 91 per cent completion. A chief engineer of the company, Mr. Anselm Ijebor told The Guardian that the Federal Government re-awarded sections of the road to his company, after the project suffered serious setbacks due to non-funding. The Abakaliki-Afikpo Road Section II: Abomega-Afikpo Road, which was awarded to CCECC Nigeria Limited, at the cost of N3.5b, in 2009, failed immediately it was completed. The road is now impassable, and the situation compounded by this year’s rainy season. But the 26.27km Nnenwe-Uduma-Uburu Road, which was reconstructed by Setraco Nigeria Limited, has been completed and now in good shape. Imo State has not been positively impacted by various road projects sited in the different senatorial districts of Imo East, Imo West and Imo North. A tour of some of the project sites revealed that apart from some of them being currently abandoned, the situation has also been compounded by the rains. Unfortunately, it is the motorists and commuters that are bearing the brunt`. Some of the areas visited by The Guardian are, the Ahiara Mbaise axis of Owerri /Umuahia repair works, which contract was awarded in 2010 to City International Dimension Construction Limited, and Zerock Construction Nigeria Limited. The state of the job has remained pathetic. The Okigwe Road linking Enugu/Port Harcourt Express Road was awarded to Lion Unisco Limited in 2018. Despite the fact that this contract has been repeatedly awarded to different contractors in the past, there has been no visible, quality work done on it. The Onitsha/Owerri Road emergency repair works is another abandoned project in the state. The Owerri end of the road is currently impassable and motorists are finding it difficult to drive across the Control Post axis in Owerri. Consequently, commercial vehicle operators have now doubled their fares. The impact of the repairs of Owerri-Onitsha Dual Carriageway (Route No.25A) contract awarded in February 2018, to Rahama Civil Works Nigeria Limited, at the cost of N229, 982, 151. 00 is yet to be felt by residents of Owerri. Many motorists in city are in serious dilemma when it comes to movement to the Assumpta Catholic Cathedral end. 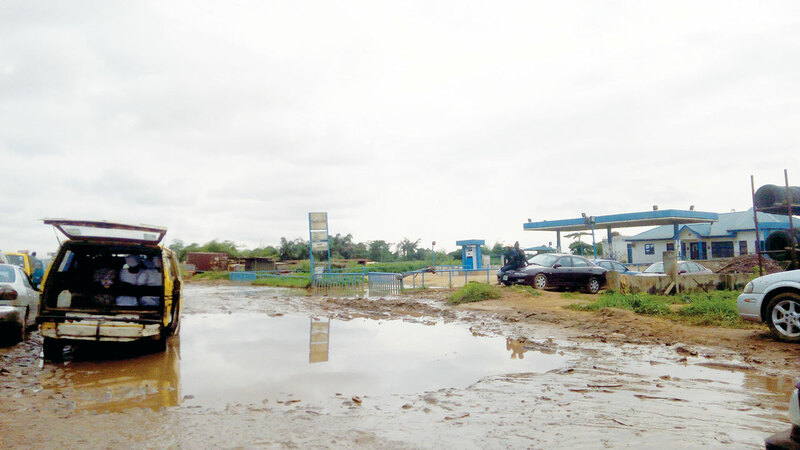 At Mbaise end of the Owerri/Umuahia Road, residents, motorists and commuters expressed frustration at the nightmarish experiences they have had to endure. A driver, Ugochukwu Igwe, regretted that his commercial bus, which plies Owerri to Umuahia is always in bad shape due to the state of the road. “This Owerri-Umuahia Road we heard was awarded to a contractor by the Federal Government many years ago, but the question that we are asking is, what is holding it from completion? There is no work going on there again and you cannot find contractors anywhere along the road. If government is sincere about the 69 ongoing projects in the South East, why can’t it release money to the contractors, and thereafter ensure that they mobilise to site and do quality job?” He questioned. 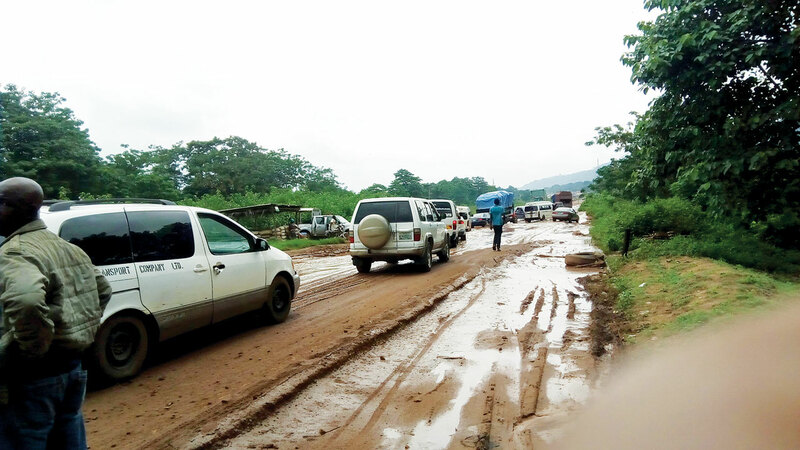 Many persons, including the Imo State government have angrily reacted to the state of federal roads in different parts of the state. In a recent statement, Governor Rochas Okorocha explained that the horrifying experience suffered by commuters in the state could not be blamed on the state government because some of the very bad roads were Federal Government roads. In the statement signed by his Chief Press Secretary, Sam Onwuemeodo, Okorocha pleaded with residents of the state to be patient till the rains subside and remedial works carried out. The rehabilitation and asphalt overlay of 1.72km internal roads, including construction of reinforced concrete drains at the Federal University of Technology Owerri (FUTO), awarded in February 2018 to Procon Construction Nigeria Limited at the cost of N124, 914, 441. 08, is moving at a slow pace.